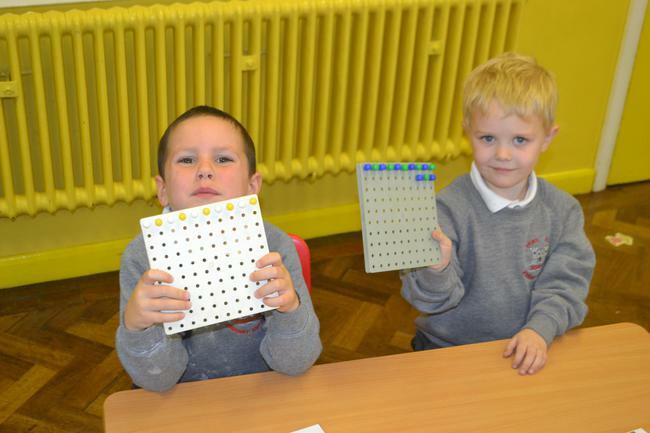 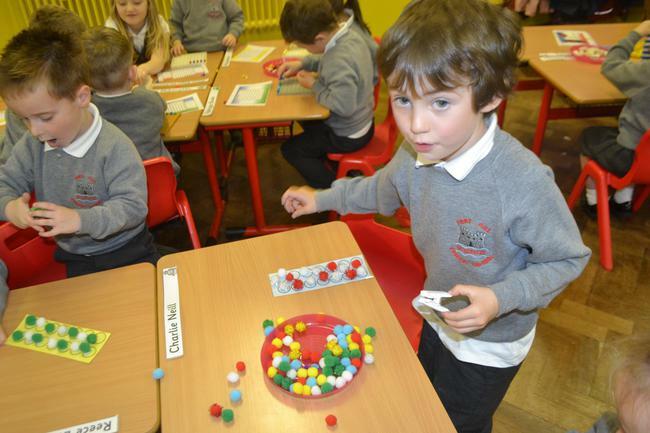 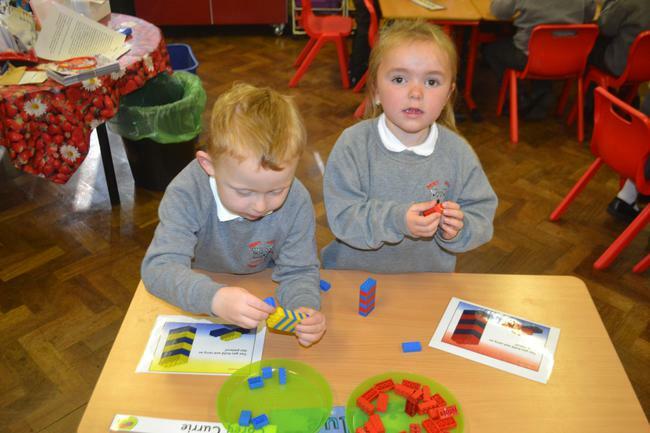 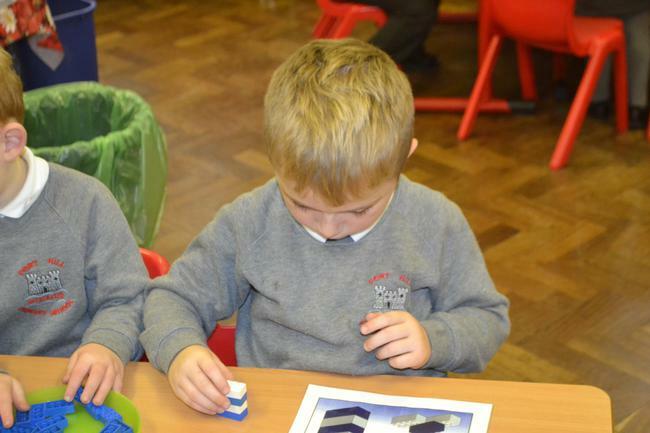 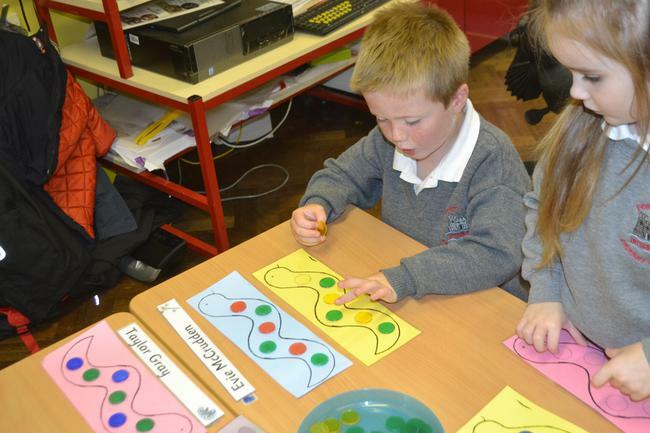 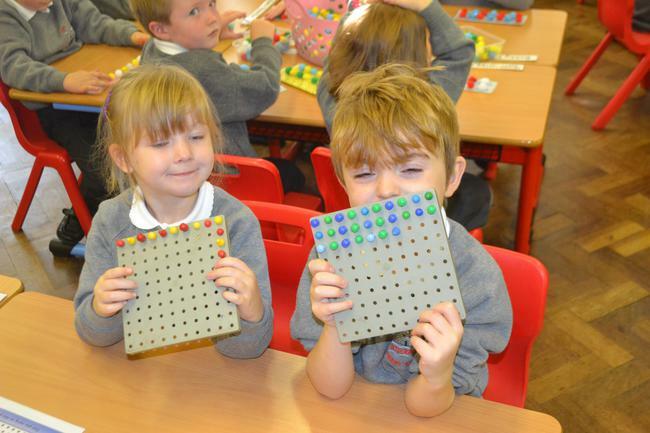 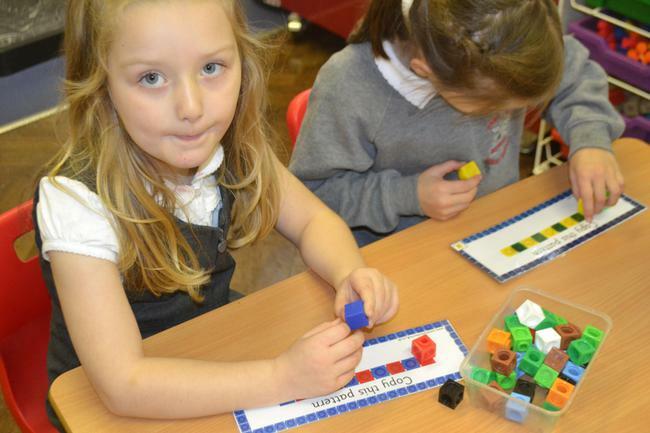 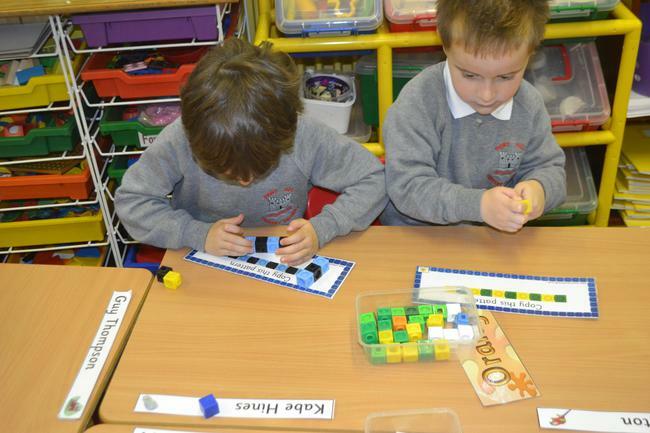 We have been investigating 2 COLOUR PATTERNS. 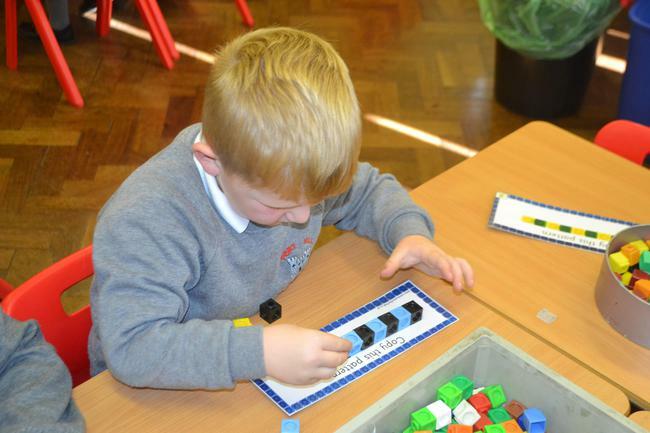 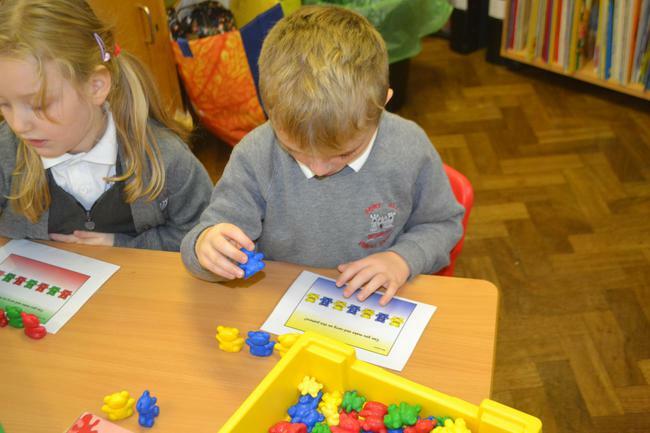 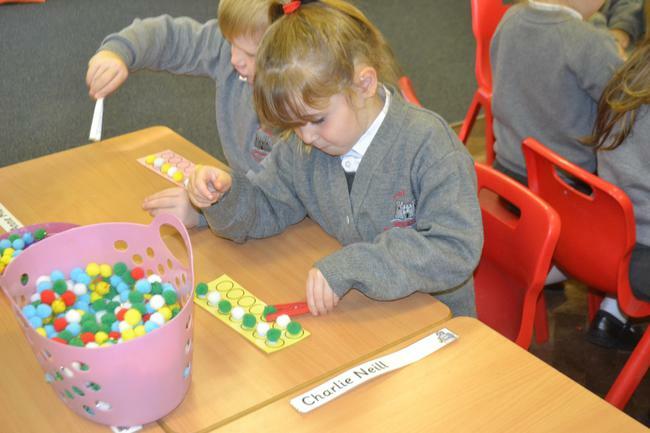 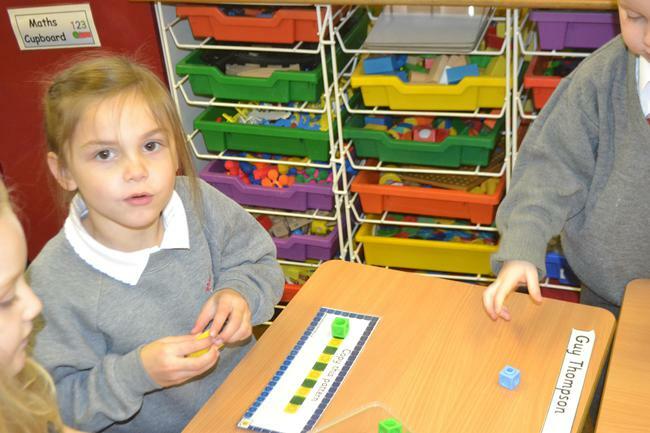 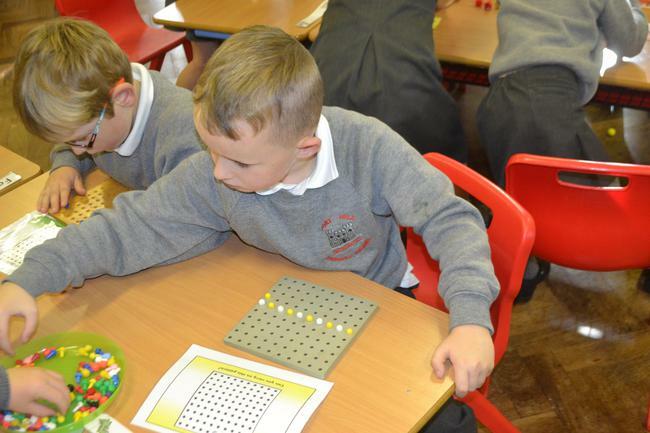 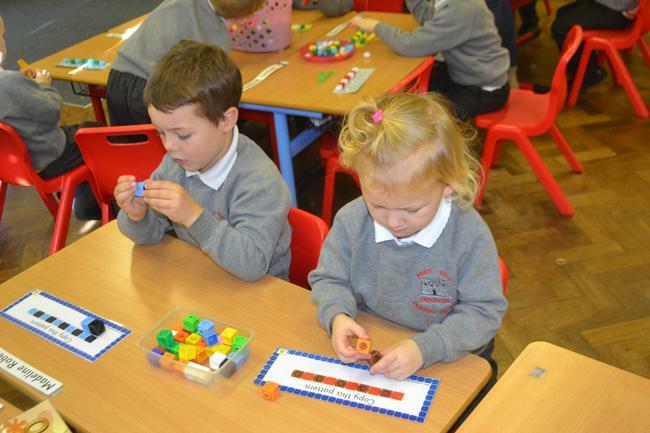 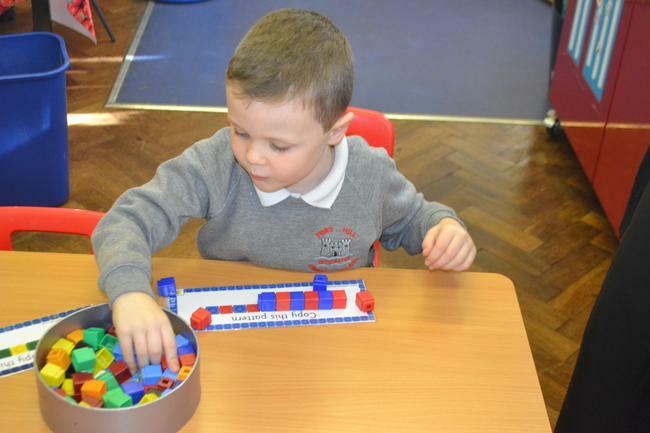 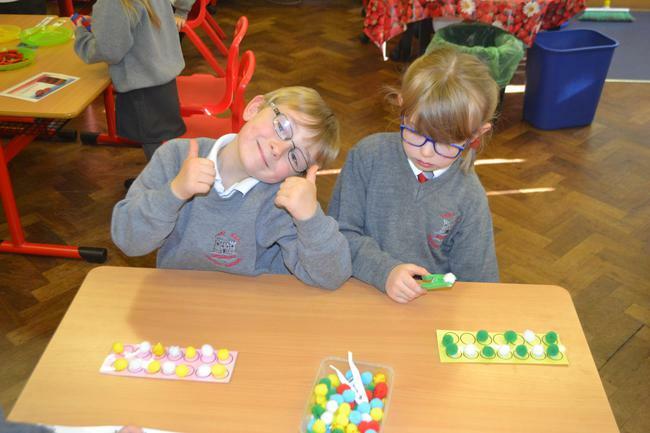 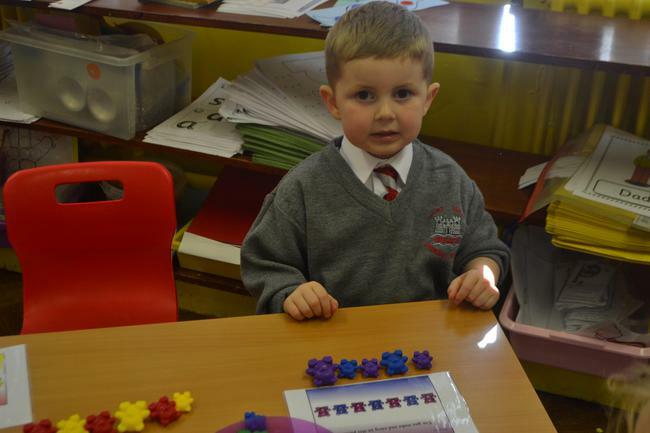 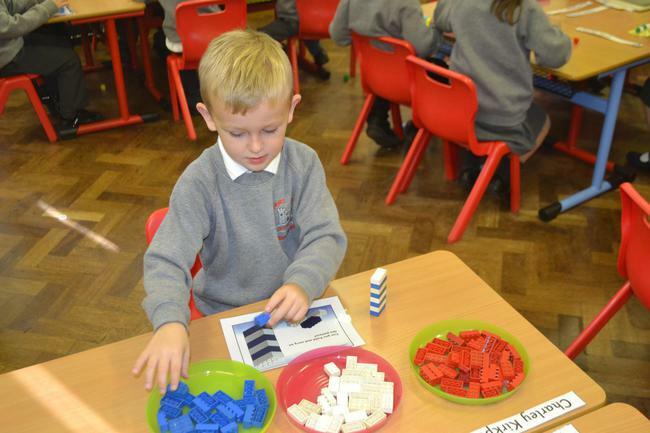 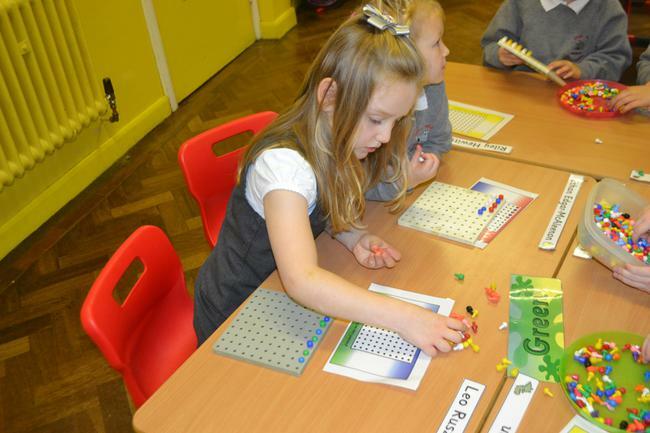 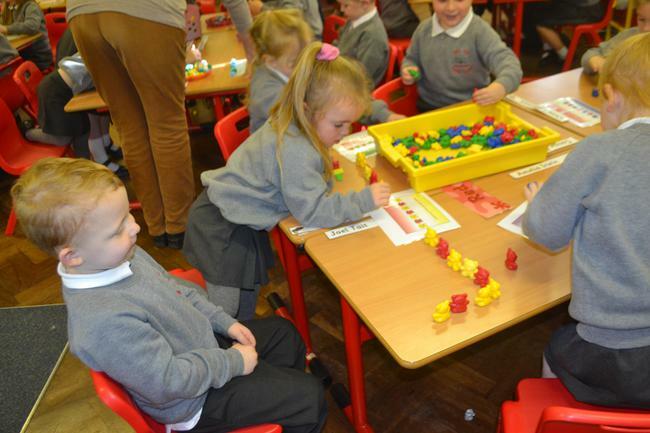 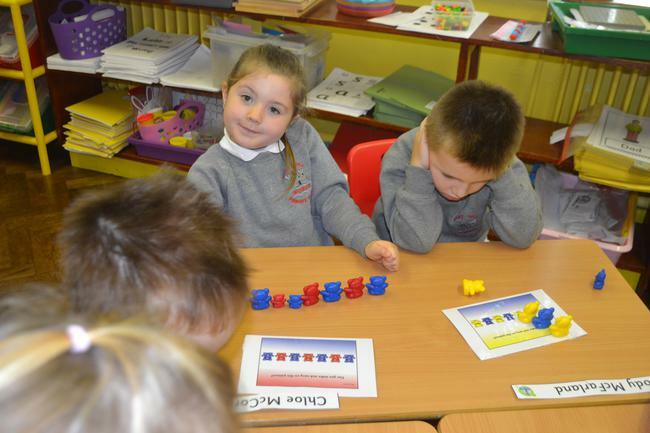 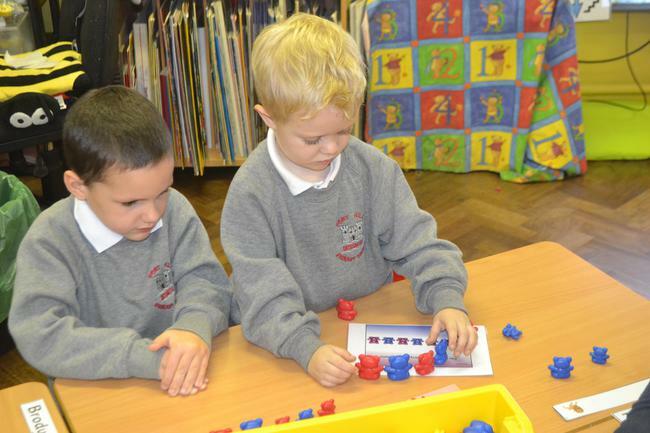 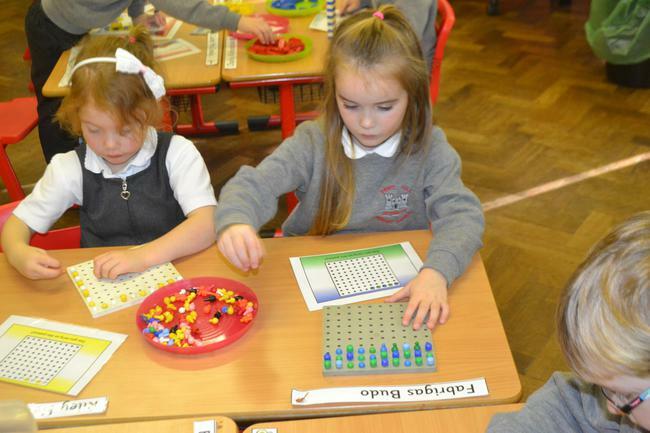 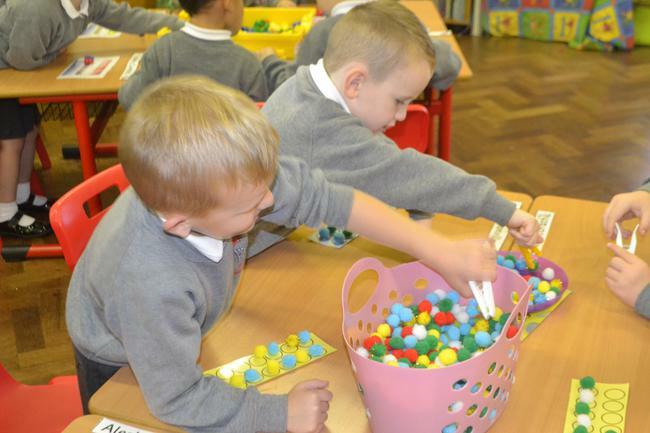 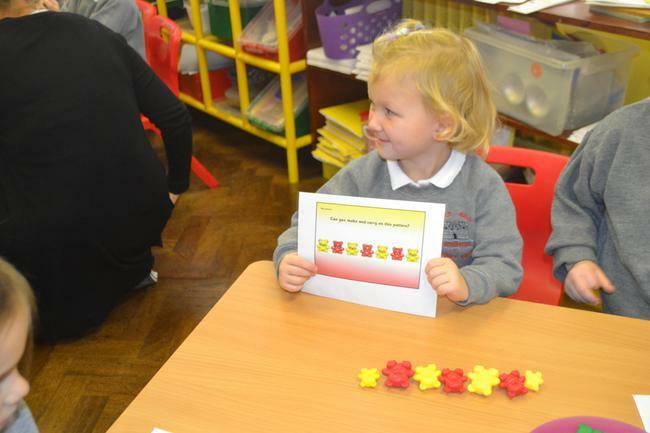 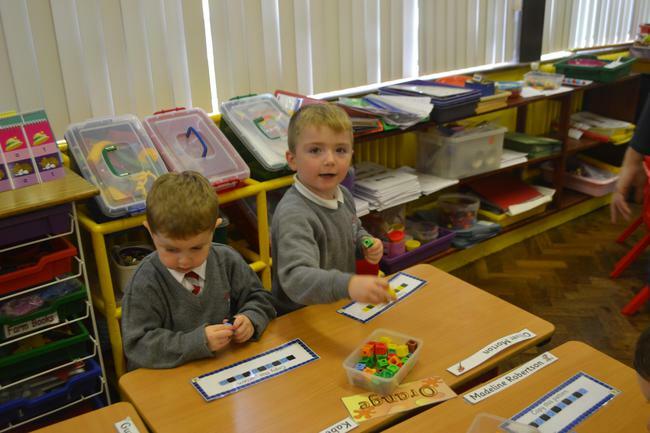 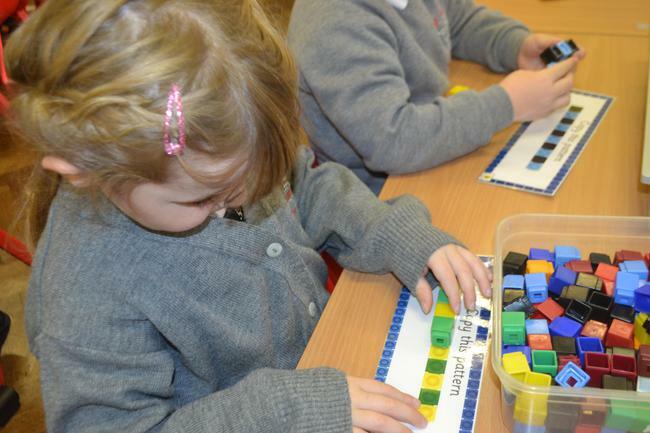 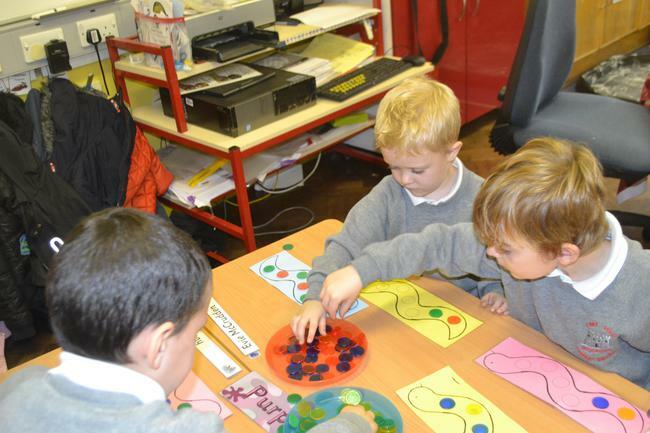 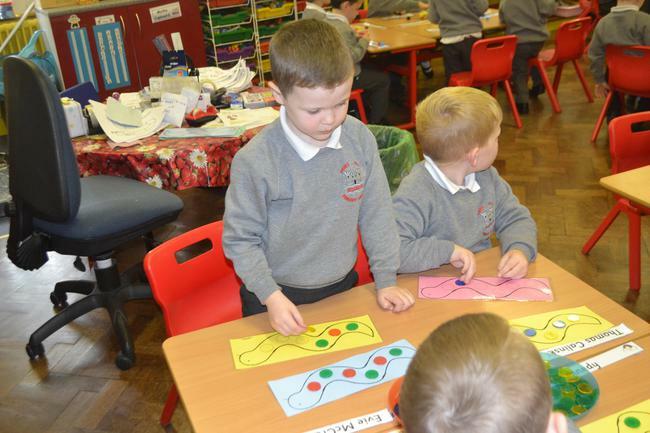 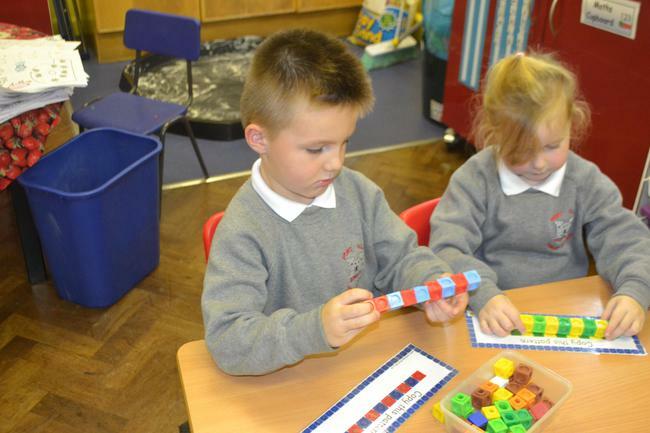 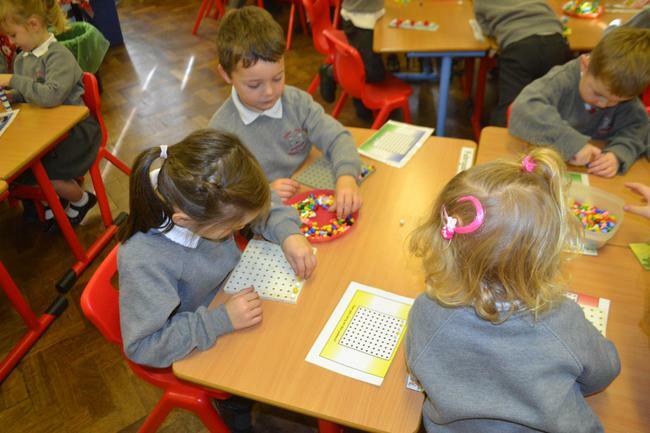 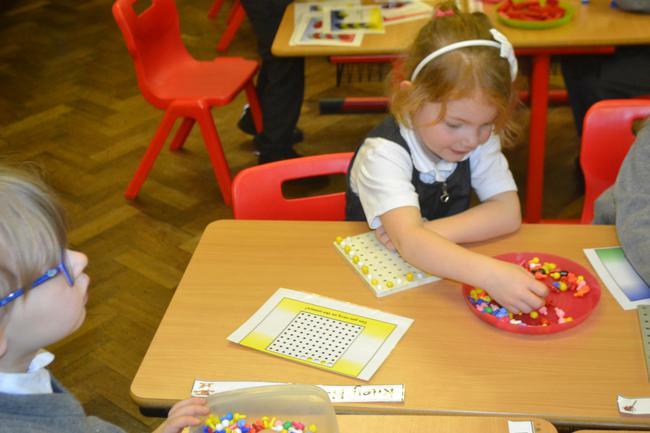 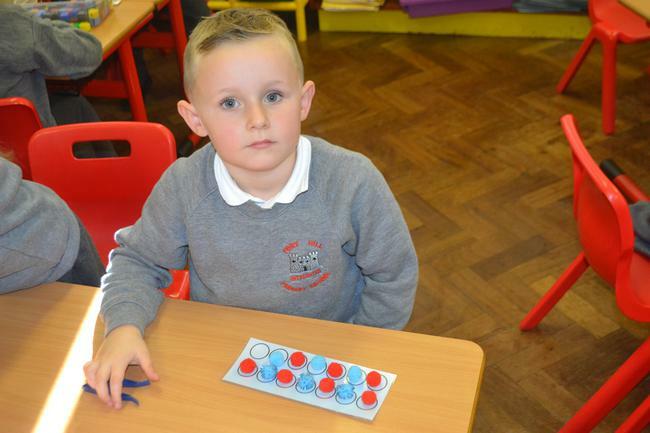 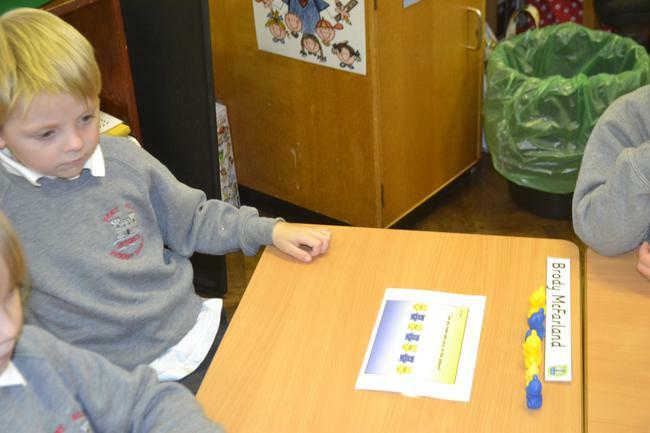 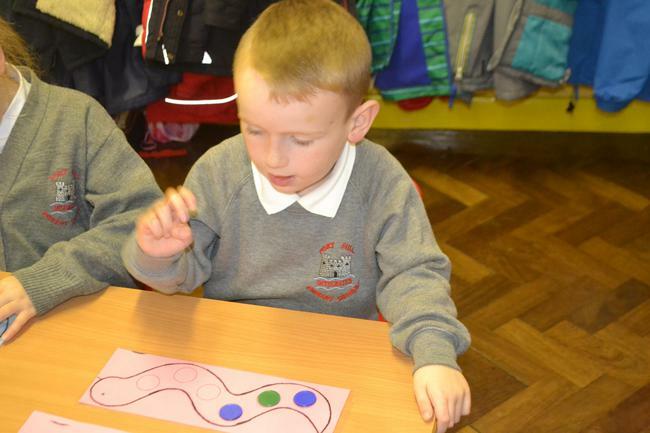 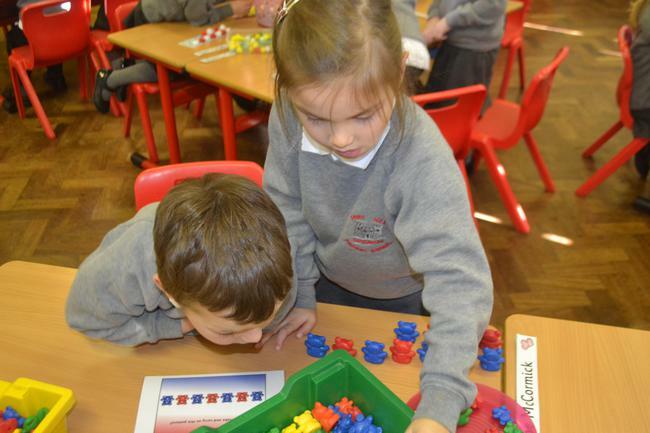 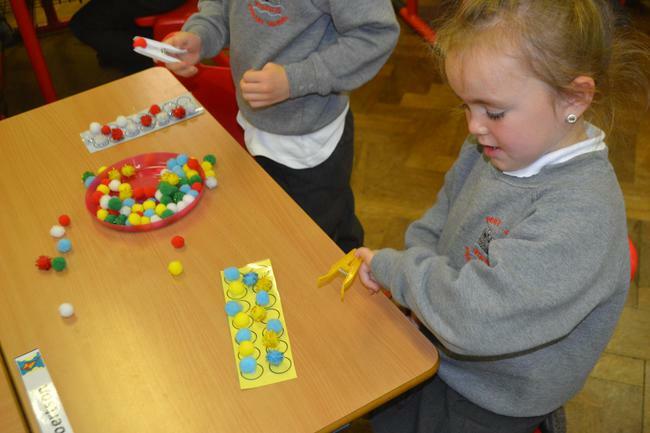 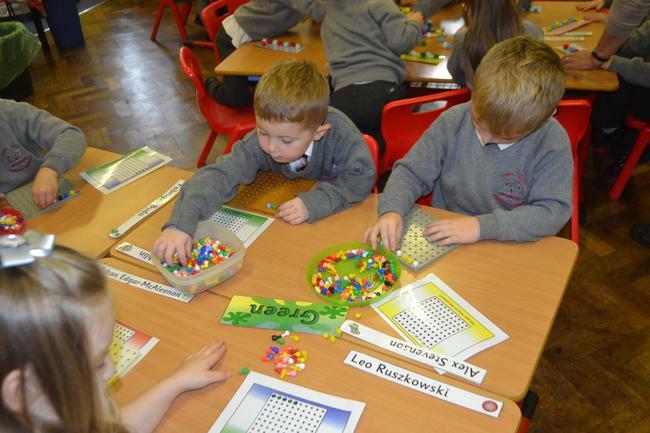 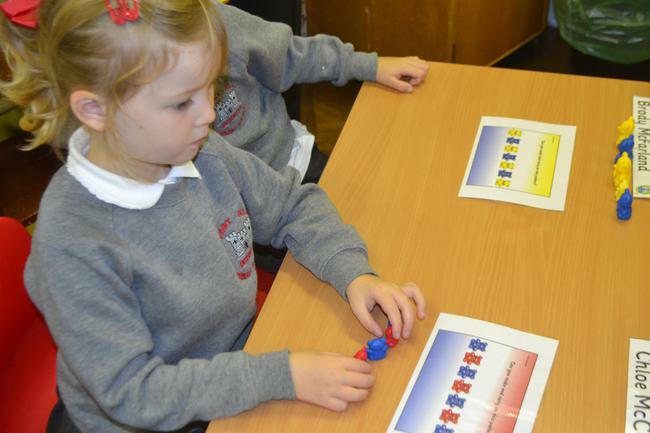 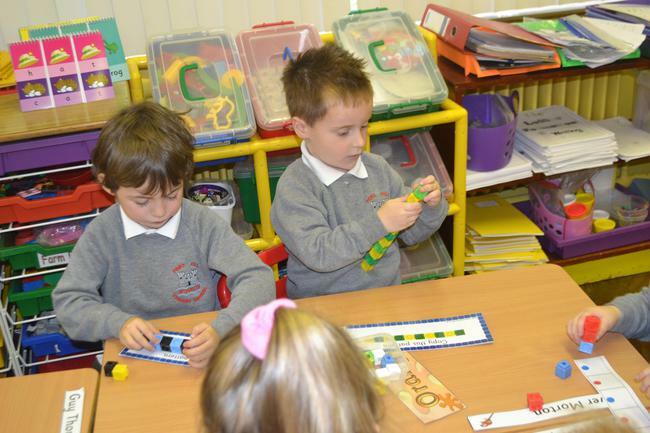 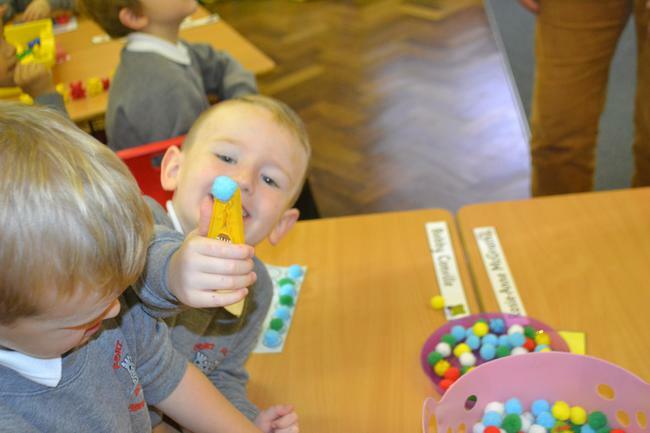 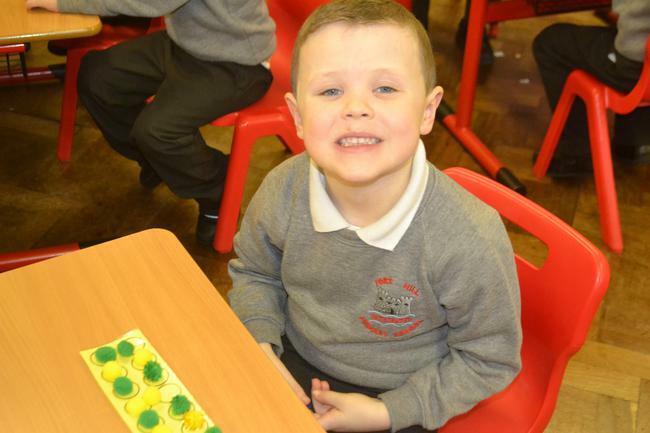 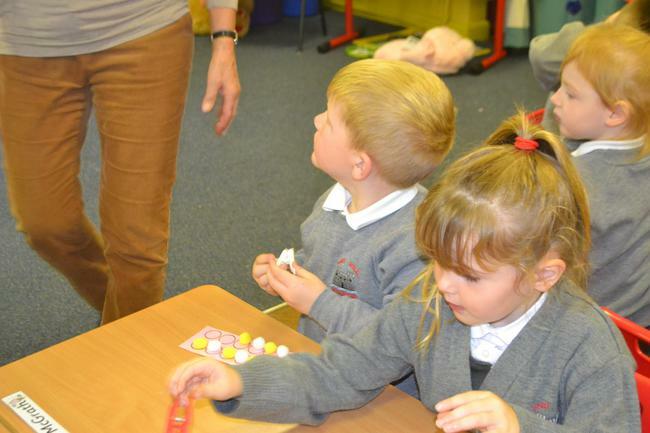 We were very busy COPYING Patterns during Play. 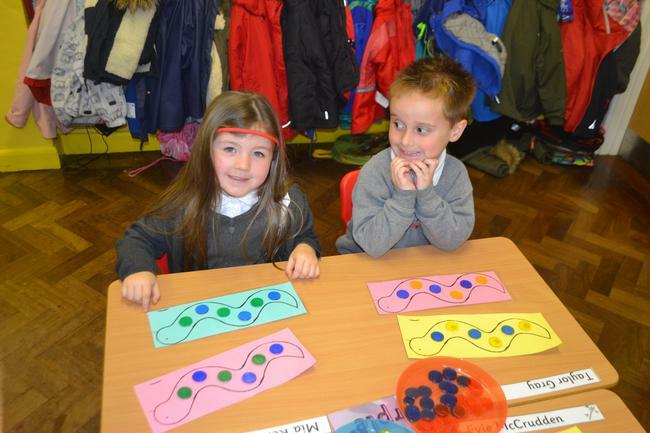 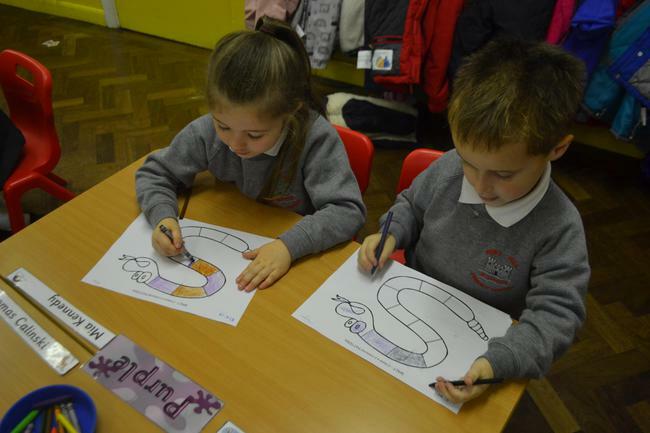 Look at our AMAZING Patterned Snakes we created by OURSELVES! 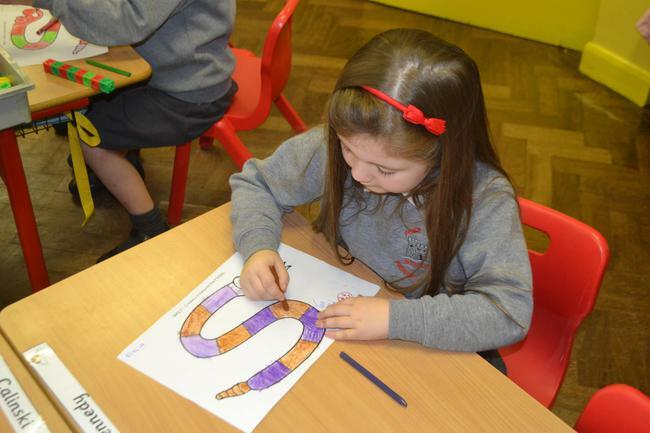 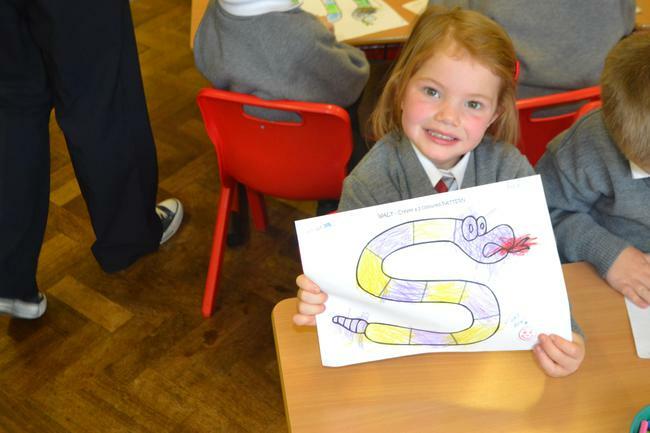 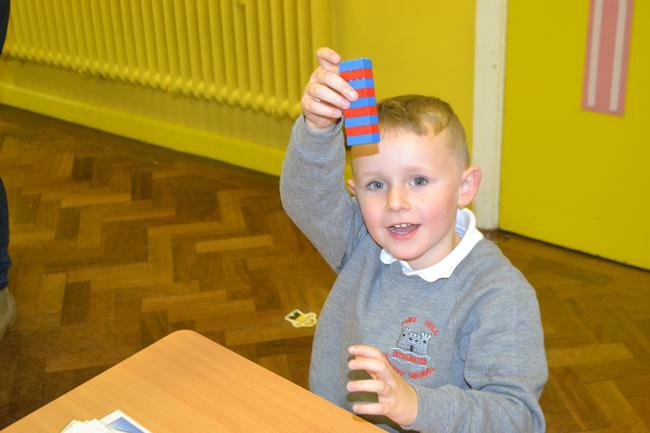 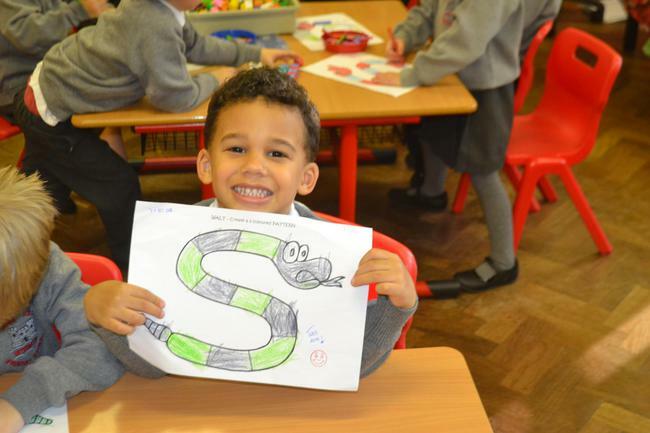 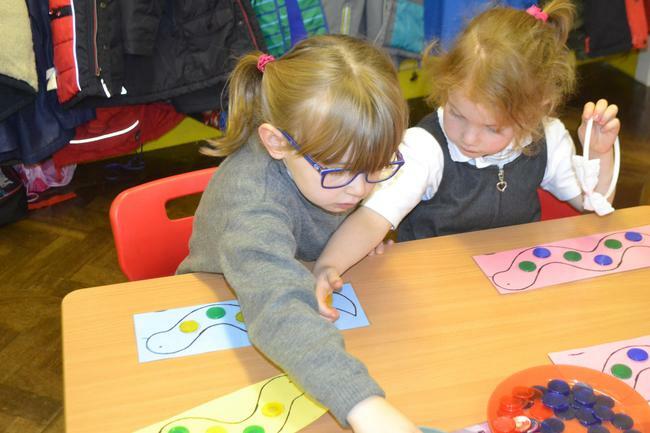 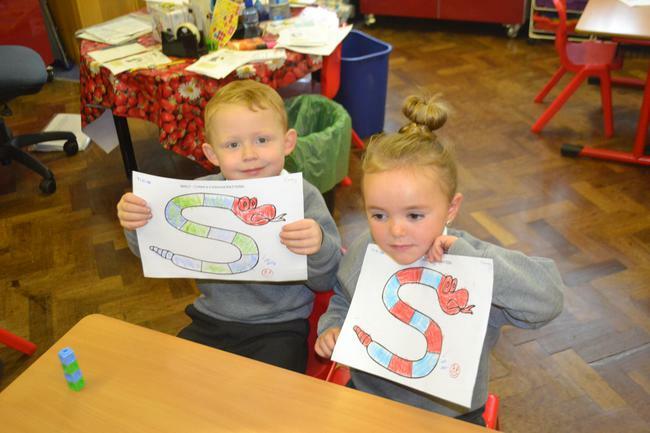 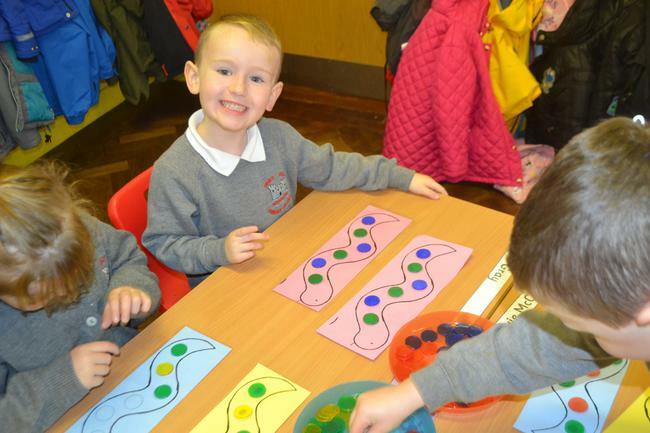 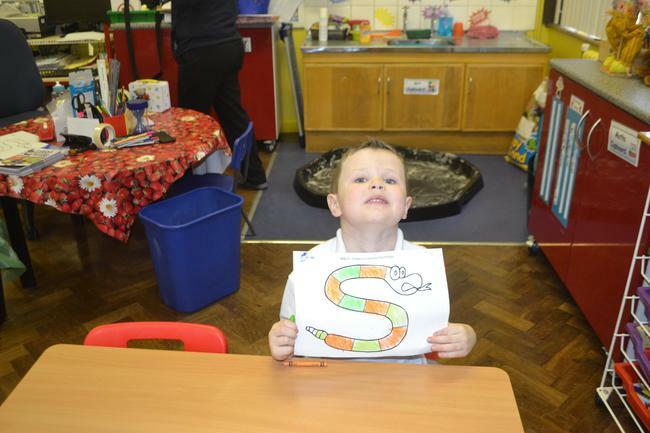 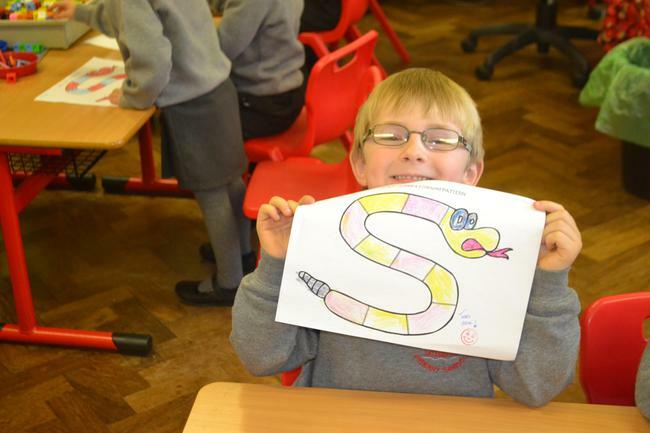 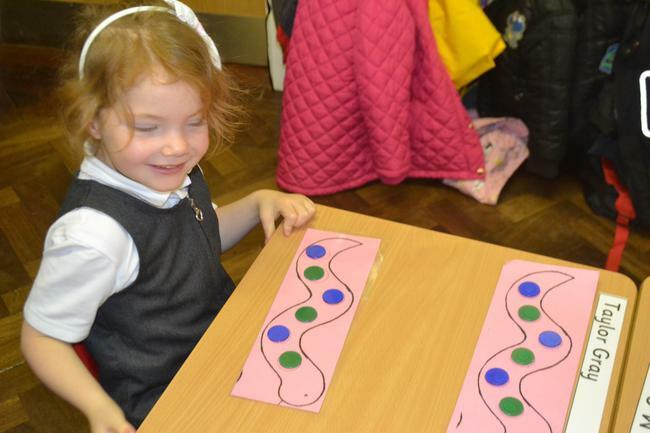 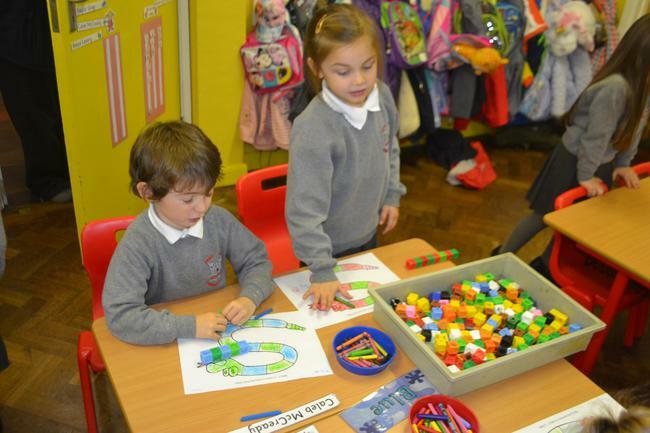 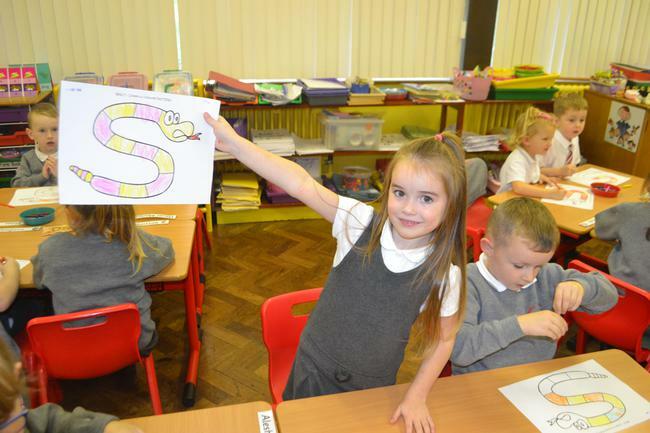 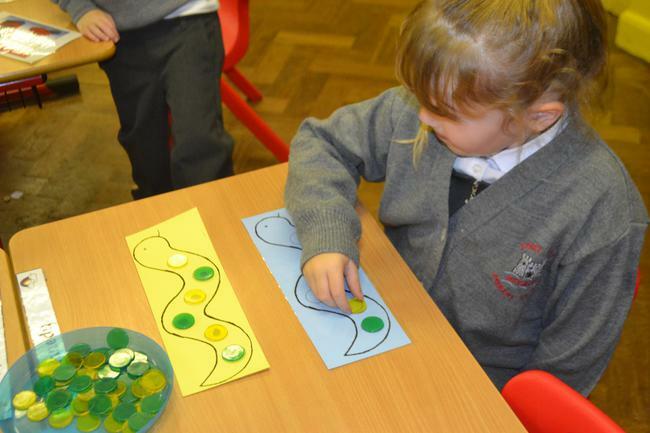 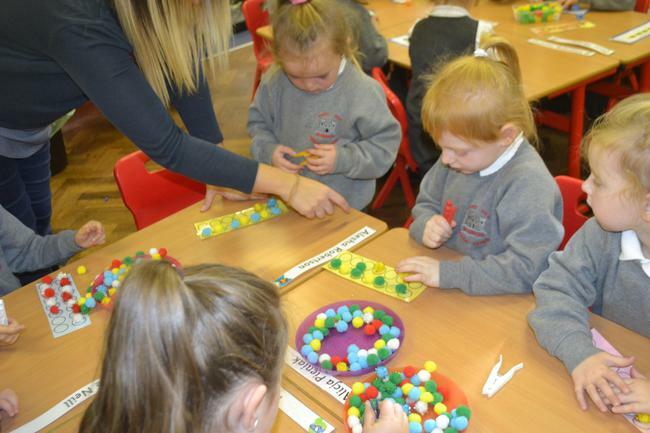 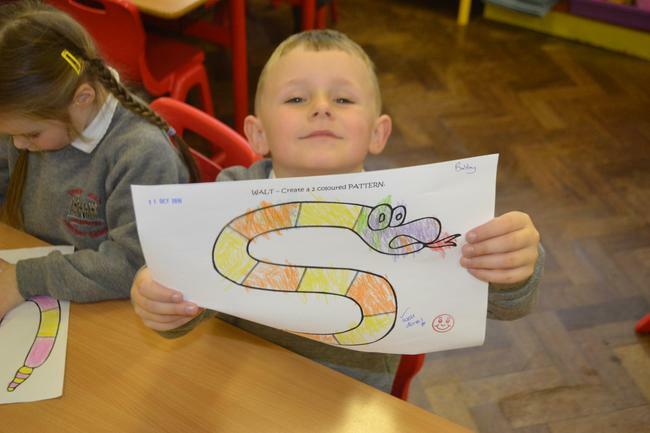 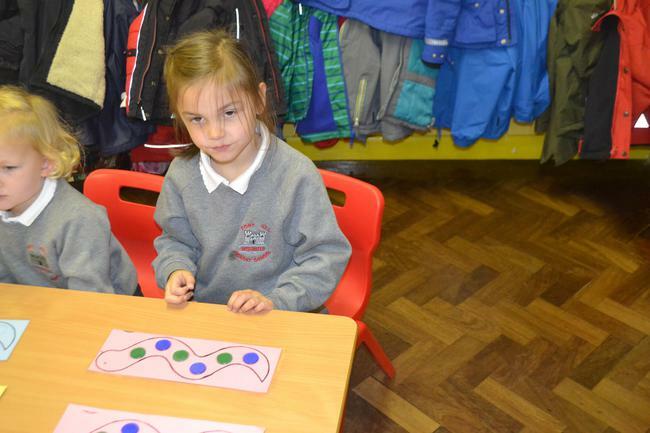 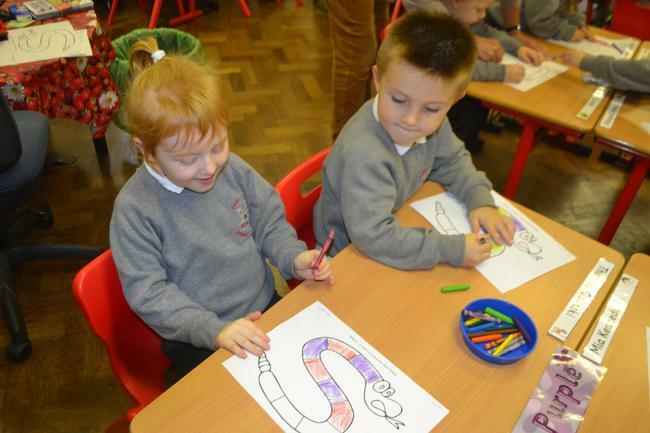 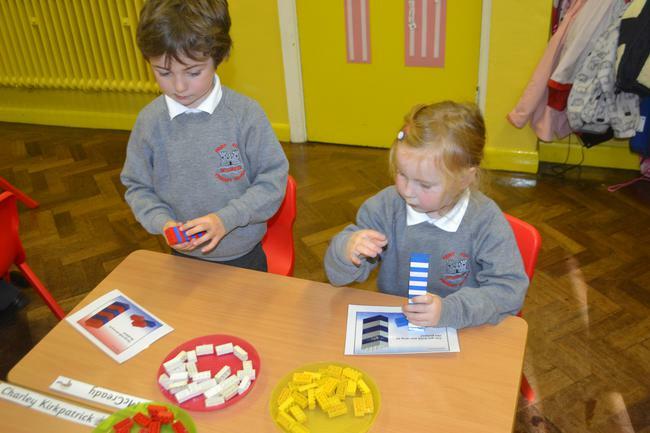 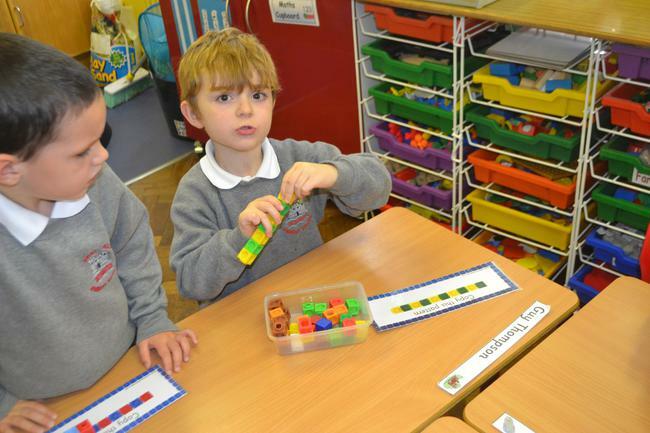 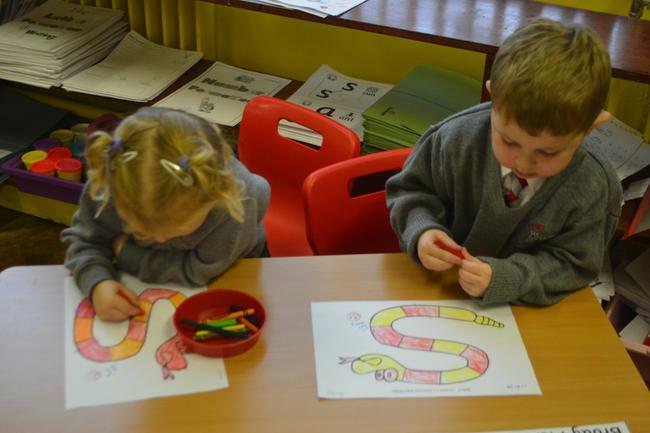 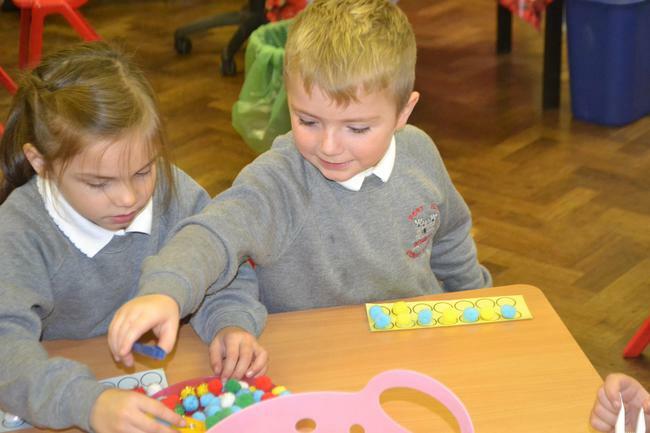 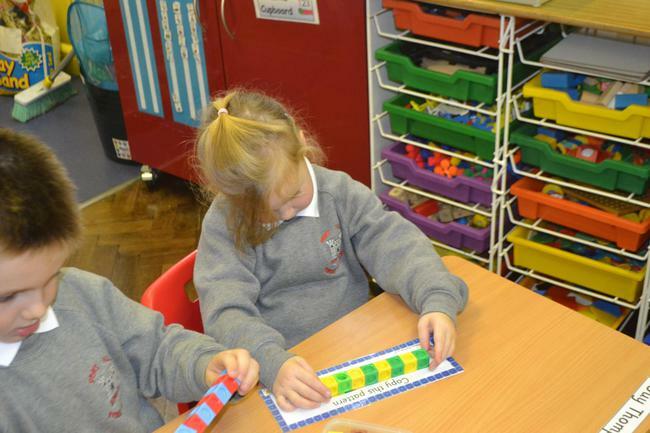 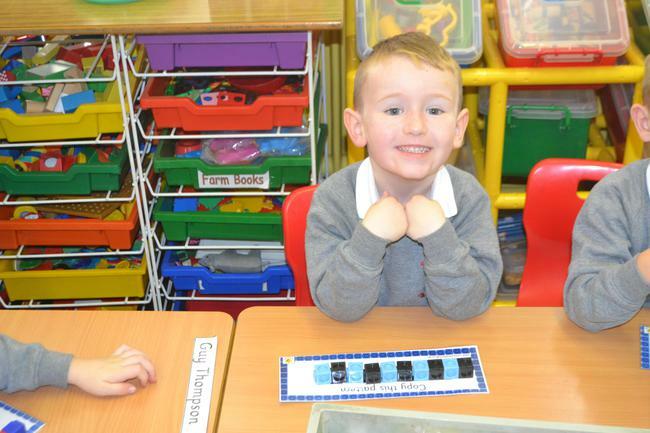 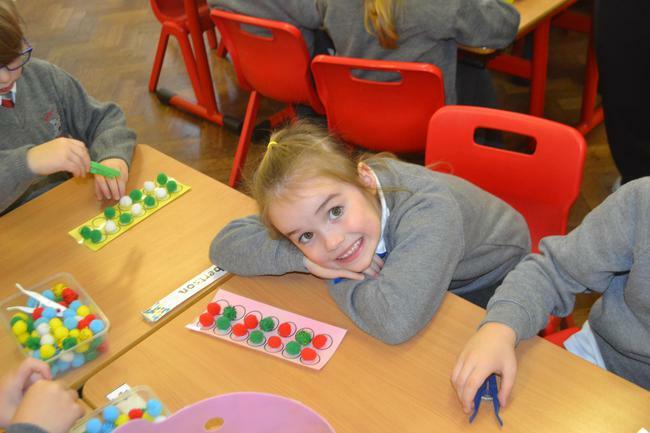 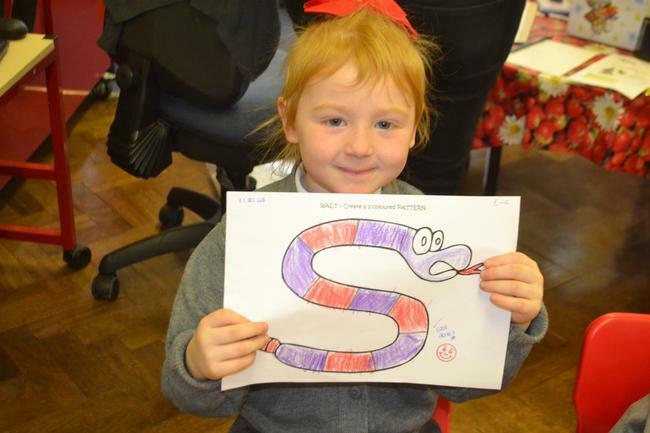 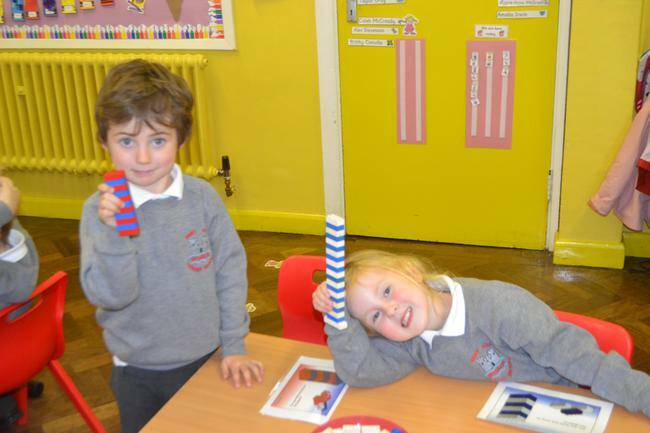 Look at our AMAZING Pattern Snakes!